The breakfast was exceptionally good, and the whole chalet was in very good condition that totally met and exceeded our expectations. The mountains of central Greece are beautiful. This year (Feb 2019) there is a lot of snow and the skiing is quite good. The house in general was better than we expected. The breakfast was a complete meal. The temperature in the house was perfect. The staff is really helpful and friendly. Etc. Nice breakfast, high cleanliness standarts, amazing Stuff. Contrary to the other accomodations in Greece, this place is super quiet and cool at night. A spatious, well eqipped chalet in the mountains, near a ski center. Nice breakfast served to the room included in the price. In summer, a good base to visit Delphi (25 min by car) and some local beaches. Luxury private Chalet with all comforts placed into a majestic environment. Plenty of space for relaxation in and out. Delicious breakfast served into the Chalet. Free internet and gym. Very close to Arachova and Delphi. Also luxurious amenities and linen and authentic furnitures are offering a very pleasant stay in the heart of Parnassus. Thank you Manolis for the great hospitality. In the countryside and only a short drive to Delphi. Incredibly friendly staff, very helpful and welcoming, beautiful location and room. Delicious breakfast delivered to our room each day. When we couldn't get a cab to take us into town on Easter, the owner and his son drove us there and came to pick us up. A little bumpy getting to the property but extremely well worth it. Really enjoyed our stay. Lock in a great price for ViP Chalet 4 Seasons – rated 8.8 by recent guests! 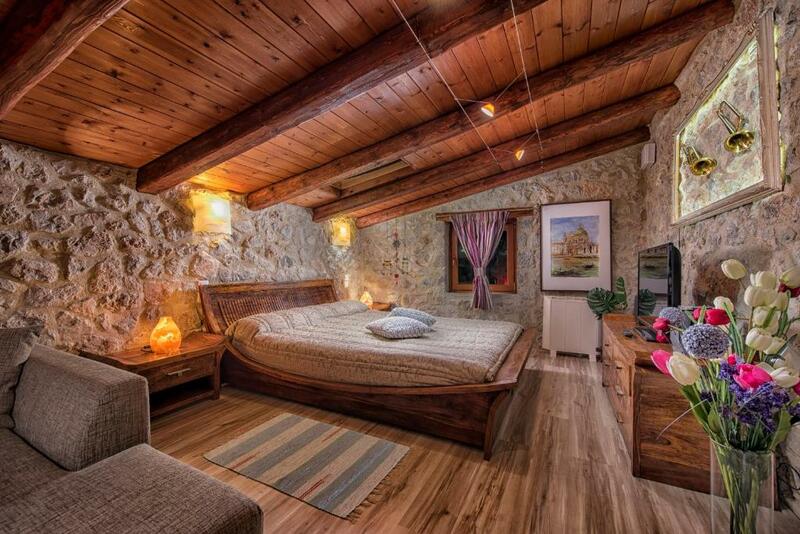 One of our top picks in Arachova.Located in Arachova, ViP Chalet 4 Seasons has accommodations with free WiFi and access to a garden with a grill. The condo hotel offers a flat-screen TV and a private bathroom with free toiletries, a hair dryer and shower. Some units also have a kitchen equipped with an oven. ViP Chalet 4 Seasons has a terrace. Dias is 9 miles from the accommodation, while Odysseas is 9 miles away. When would you like to stay at ViP Chalet 4 Seasons? This chalet features a balcony, seating area and flat-screen TV. This chalet has a oven, toaster and electric kettle. This chalet features a balcony, private entrance and toaster. 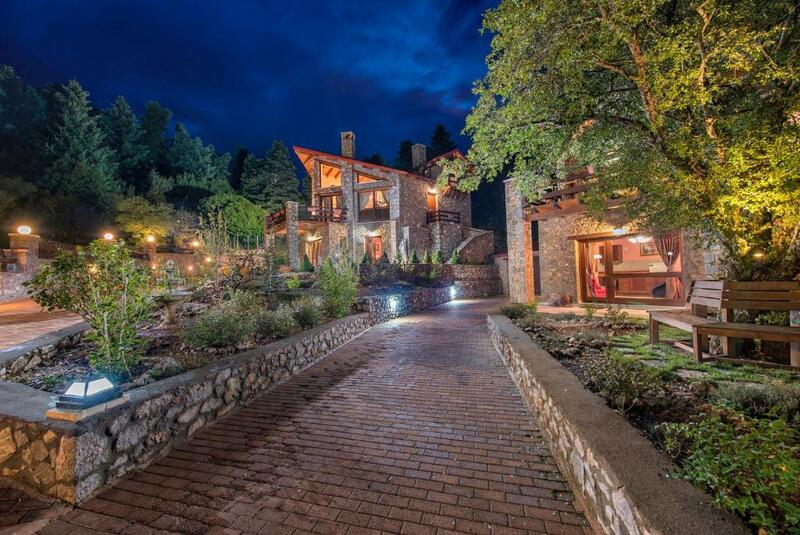 This chalet features a balcony, fireplace and dining area. This chalet features a balcony, private entrance and electric kettle. This chalet has a toaster, DVD player and tile/marble floor. 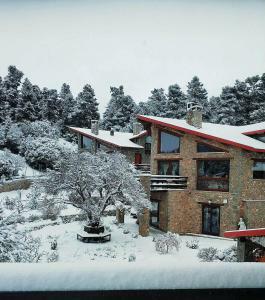 This chalet features a balcony, mini-bar and tile/marble floor. 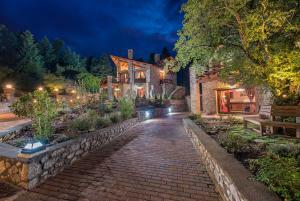 This chalet has a tile/marble floor, private entrance and fireplace. This chalet has a sofa, kitchenware and soundproofing. This apartment features a private entrance, fireplace and bathrobe. This suite is set on the basement. Οι εσωτερικοί και οι εξωτερικοί χώροι, αγκαλιάζουν τον επισκέπτη. 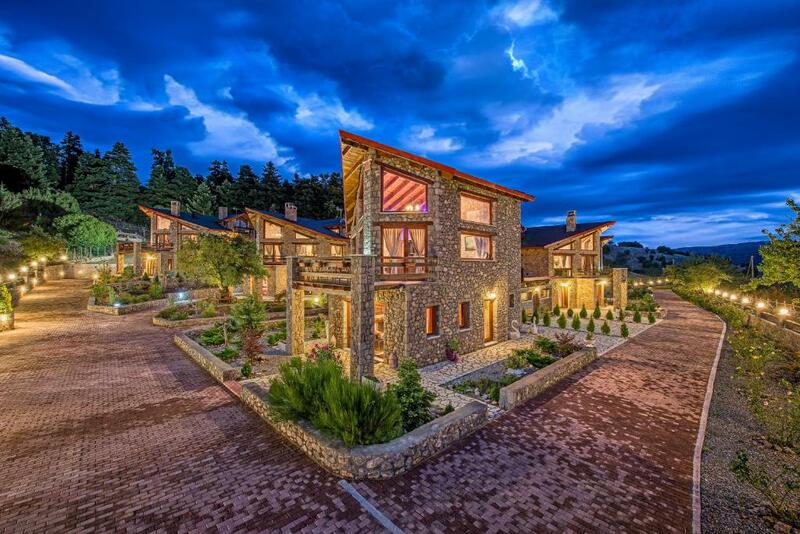 Στα ViP Chalet – 4 εποχές ο φιλοξενούμενος νιώθει σαν να βρίσκεται στο σπίτι του, ενώ ταυτόχρονα απολαμβάνει υπηρεσίες υψηλού επιπέδου, εφάμιλλες ενός πεντάστερου ξενοδοχείου. House Rules ViP Chalet 4 Seasons takes special requests – add in the next step! ViP Chalet 4 Seasons accepts these cards and reserves the right to temporarily hold an amount prior to arrival. Please inform ViP Chalet 4 Seasons of your expected arrival time in advance. You can use the Special Requests box when booking, or contact the property directly using the contact details in your confirmation. 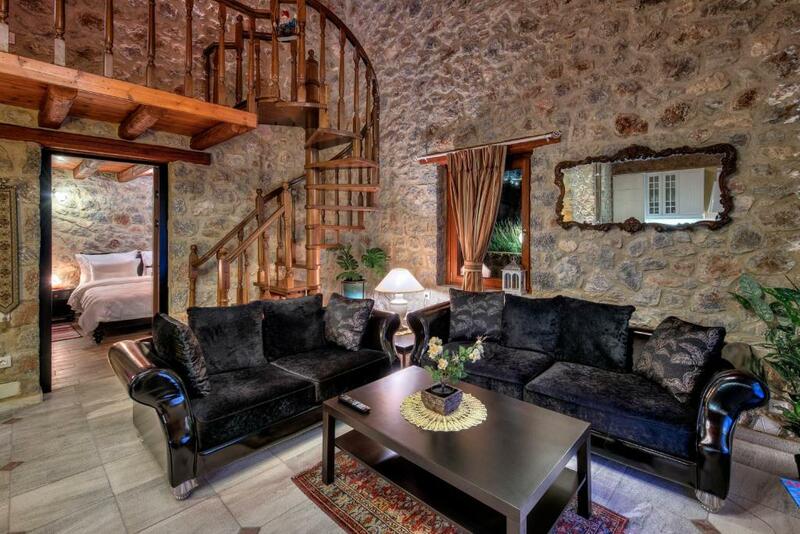 Good location close to Parnassos ski center. We got a good deal on the chalet - the full prize would have been too much. It is very spacious, good for a bigger group. Breakfast delivered into the chalet was awesome ! • Superior Deluxe Chalet "Daphne"
The road to the hotel needs more road safety handling. We found it challenging in periods of heavy snow to get to or from hotel. We rented an "apartment" (Athina II) that was a single small room with a tiny bathroom that one couldn't turn around in. Thinking that we had an "apartment", we brought some simple food (pasta) but of course couldn't cook it. The road in to the property is horrible, snow-covered in the steepest section that is shaded by (beautiful) firs in a narrow little gorge-like gap. Scenic, yes, but poorly maintained. I had to use chains the first day (five days since the last snow) and one of the deep potholes damaged the fastener clamp that connects the two ends of the chains, so took 90 minutes trying to fix it myself before getting help from the staff (who were in fact very helpful). The potholes could be filled and the snow plowed such that people don't need chains or a 4-wheel drive vehicle (which we wouldn't rented had we known). The road and the small hotel room "apartment" were enough to make me feel ripped off. The road that leads to the house. The fridge was not cool enough as if it was broken. The weird sounds coming from the wooden roof. The heating system was a bit slow. Breakfast on time - nice location with a great view in the forrest - beautiful scenery from the challet. we have to drive through the neibour's house to reach the hotel and the road was so bad.. There was lack of variety in breakfast. Decoration could be a lot better.. Very close to Parnasus ski center snd center of Arachova. The road leading to the Chalet is muddy though the owners are doing their best to keep it in a good shape. The staff was completely unorganised. Delays to bring the breakfast. Unable to supply what is included to their menu. The chalet was quite dirty and not properly cleaned. One of the bathrooms was not in operation. The chalet was in perfect location. With nice view of the mountain. The room on photos looks much bigger. We are a family with a kid. If you unfold the sofa you have no space left at all. The room was very dark, lights were dull. You feel you are in the cave in this stone house. The light from the only window was almost totally blocked by the wardrobe and a Christmas tree. WORST WI-FI EVER!!! Breakfast is a disappointment, sweet white not freshly baked bread, cheese cut in cubes (!!! ), ham and jam, pasteurized orange juice, a couple of cold pies and boiled eggs. They serve it in the room. They just brought the food and left. We had to call them back to ask for the cups, knifes and forks, they offered to use the ones we had in our room that we should clean ourselves if we used them last night. They also offer an extremely overpriced dinner menu that deliver from a taverna nearby in take away packaging. No single hook in the bathroom to hang towels... The ROUND (!!!!) white leather bed with crystals with a very soft uncomfortable mattress was the worst bed i ever slept on. It doesn't match the village stone house style at all but probably in the owners mentality it should look "rich" and matches the "vip" name of the property. There's a small roof window right over the bed and the water leaked though it during the rain although the window was locked. Cleaning service was poor, they didn't vacuum the carpet during our stay and we found egg shell on it. Towels were missing after the maid's service. The road to the property goes through the forest so if you have a low car you might probably scratch the bottom. And again terrible WI-FI! They say they "inform" the guests beforehand but we were not informed.